Love this easy vegan truffle recipe from Laura Theodore, the Jazzy Vegetarian from her new book Vegan-Ease! 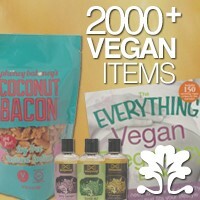 Watch Laura Theodore make this recipe at vegan-ease.com! 1. Line a small baking sheet with unbleached parchment paper. 2. Put the dates, raisins, coconut and maple syrup in a high-performance blending appliance and process to the consistency of soft dough. Transfer the date mixture to a medium-sized bowl. 3. Using a cookie scoop, spoon out a heaping tablespoon of the date mixture, and roll it into a ball. Continue in this manner to form 10 to 12 truffle balls. 4. Put the cocoa powder in a small bowl. Roll the truffles in the cocoa powder until coated and place on the prepared baking sheet. Refrigerate 1 hour. 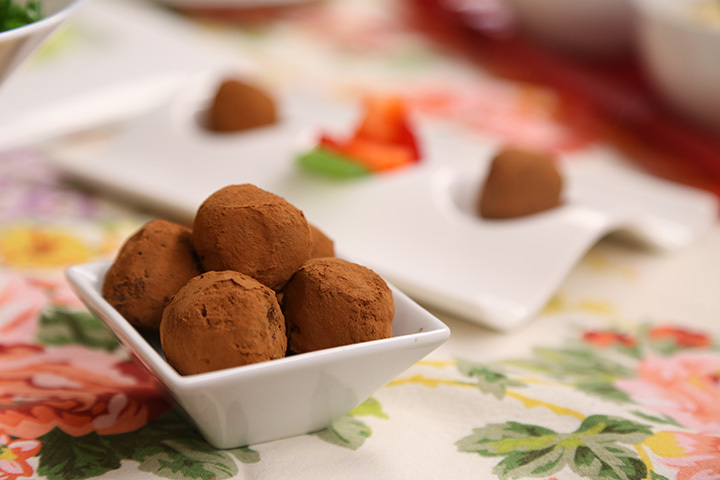 Stored in an airtight container in the refrigerator, truffles will keep up to 3 days. Let us know what you think of this easy vegan recipe: Maple-Raisin-Date-Truffles!